The Fremont area has seen a huge growth in population since its incorporation a few decades ago. This, coupled with the high paying jobs in the Silicon Valley area, has led to many younger couples moving into the area and starting families. Most of the families here love the area so much that they are choosing to upgrade the homes in which they live instead of making the move to another area. If you are one of these families, we're the go to plumbers in Fremont for interior kitchen and bathroom remodels and new additions. If you are thinking about an interior remodel or home addition, it is best to get us on board right from the start. Our plumbers will carefully examine the schematics and blueprints that are on file with the city to help you determine the best and most efficient set-up for the plumbing lines that will need to be installed. If you bring us in late to the game, it may end up costing more to do the plumbing portion of your remodel. Choosing the right contractor is one of the most important decisions you will make during the entire process. 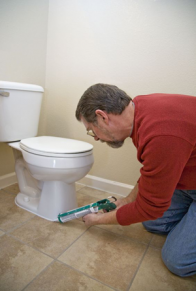 Our Fremont plumbers have worked with most of the reputable general contractors in the area and can even help your pick out the one that is right for your job. We can then get started putting together an estimate based on your needs and desires. Bathroom and kitchen remodels have between a 80%-90% return on investment so you are getting a new room almost for free. There really is almost nothing to lose as long as you have a solid team working with you. Our Fremont plumbers can help you put together that team. And, yes, our 100% service satisfaction guarantee extends to this part of our service as well.